Colonel Hullinger enlisted in November 1966 and went to Boot Camp at Parris Island. He served with 5th Light Anti-Aircraft Missile Battalion and was meritoriously promoted to LCpl. He was selected to attend Officers Candidate School (Boot Camp Twice!) and Commissioned a 2nd Lieutenant in January 1969. He arrived in Vietnam in 24 December 1969, serving with MASS-3 and MWCS-18 in the 1st Marine Aircraft Wing. He extended his tour to transfer to the 1st Marine Division, serving as Operations Officer and XO of Division Communications Company and Radio Relay Officer of 7th Comm Battalion. He was in the last Marine Ground unit to leave Vietnam in June 1971. Colonel Hullinger was discharged from active duty in July 1971 and joined MWCS-48 in the 4th Marine Aircraft Wing. He served in several platoons and as Operations Officer and XO. He then served with 4th Marine Division Headquarters and Headquarters Marine Corps. He returned to MWCS-48 in 1989-91 as Commanding Officer. Part of the Squadron was activated for Desert Storm. He was promoted to Colonel in 1990. Colonel Hullinger then served MARFORLANT at Norfolk and Camp Lejeune. He completed his 32 years of service as the Senior Officer in the Amphibious Warfare Technology Directorate at Quantico. He retired in 1999. Hullinger remains active in military organizations as a Board Member of the Military Officers Association of America-Sarasota Chapter, Marine Corps League, Marine Corps Association, VFW, the Marine Corps Reserve Association, and a Board Member for Trot For Tots. In civilian life he is a city planning consultant. He has served as a city manager and county planning director. He is Vice President of Sarasota Sister Cities. He is married to Beth Ruyle Hullinger and the father of Leigh Ann and Bret. Hullinger writes several Marine blogs. He enlisted in 1966, completing active duty in 1971, and then served in the Marine Reserve until 1999. Promoted from Private to Lance Corporal. Commissioned in 1969 as a 2nd Lieutenant. Served 18 months in Vietnam. Trained as a Communications Officer, with additional background in Air Control, Electronic Warfare, and Exercise Planning and Evaluation. Promoted to Colonel in 1990 while serving as Commanding Officer of MWCS-48. 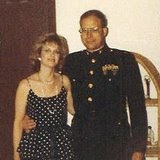 Served as Reserve G-6 MARFORLANT at Camp Lejeune. Senior Officer in the Amphibious Warfare Technology Directorate at Quantico. Hullinger remains active in military organizations as a Board Member for Trot For Tots, and as a member of the Military Officers Association of America, Marine Corps League, Marine Corps Association, VFW, and the Marine Corps Reserve Association. 1966 Enlisted in the United States Marine Corps on 6 November. 1967 Boot Camp at Parris Island, Infantry training at Camp Lejeune. Attended Anti Air Warfare Operators Course at 29 Palms. First in class, meritoriously promoted to Lance Corporal. 1968 Assigned to the 5th LAAMBn at MCAS Yuma AZ. Served in the AAOC, participated in five live fire exercises. Selected for Officers Candidate School from Enlisted Commissioning Program. 1969 Commissioned a 2nd Lieutentant. Attended Basic School and Communications Officers School at Quantico. Assigned to1st MAW, Danang, Vietnam, with Marine Wing Communications Squadron-18. 1970 Assigned to Marine Air Support Squadron 3 as Communications Electronic Officer. Received Letter of Commendation. Extended tour for six months for duty with 1st Marine Division. 1971 Assigned to Division Communications Company as Assistant Communications Center Officer, then S-3, and then XO. Transferred to Communications Support Company, Radio Platoom Commander, FLC. Released from active duty to attend college. 1972 Received Navy Commendation Medal with "V". Joined Marine Wing Communications Squadron 48 in January, and served as Wire Platoon Commander. 1973 Appointed Multichannel Platoon Commander. Attended Comm Planning Course at Coronado. 1974 Became Multichannel and Radio Platoon Commander. Air Command and Control Exercise at Camp Pendleton. 1975 Appointed Communications Center OIC. Planned and implemented ACE Comm for MAB Ex at Camp Lejeune. 1976 Appointed Assistant S-3 - Planned the Squadron ATD. Planned and implemented 5 local unit exercises. 1977 Assistant S-3 - Planned and supervised major exercise with multichannel links between El Toro and 29 Palms, helped earn Squadron of the Year Award. 1978 Assistant S-3 - Planned Communications and EW for Operation High Intercept. Received Letter of Commendation from 4th MAW. 1979 Assistant S-3 - Planned and implemented support for WTI. Attended EW Course with German Army Signal Corps. 1980 Assistant S-3 - Planned and implemented exercise in support of the Weapons Training Instruction at MCAS Yuma Exercise WTI. 1981 Appointed S-3 - Planned and implemented Exercise. Wrote and implemented seven unit local training exercises. 1982 S-3 - Planned and implemented Squadron participation in Exercise at El Toro, Yuma, and 29 Palms. Attended Little Creek Air Control Operations Course, and finished 1st in class. Conceived and assisted in the planning of CAMASGE, the Chicago Area Marine Air Sea and Ground Exercise conducted at NTC Great Lakes, Fort Sheridan, Libertyville, and NAS Glenview. 1983 Appointed XO - Served as ACE CEO at 29 Palms. Evaluated and wrote a report on British F1F1 VHF single channel automatic retransmission equipment and on the U.S. Army10 Channel VHF Antenna. Attended Air Force Command and Staff College at Maxwell Air Force Base. Wrote plan for a detachment for MWCS-48. 1984 XO - Responsible for bringing Squadron up to 90% drill attendance. Served at Cherry Point MAB Exercise. Attended Landing Force Communication Course at Coronado. Served as CEO/OIC of detachment at Camp Pickett Logistics Exercise with U.S. Army, National Guard, and NATO countries. 1985 XO - Responsible for preparation for successful IG inspection and successful Mobilization exercise. Served as CO 1/23 for the Communications Officers Course at Quantico. Attended Aviation Staff Planning Course at Coronado. Attended Advanced NATO Electronic Warfare Course at SHAPE Headquarters in Oberammergau, West Germany. 1986 XO - Served as acting CO during absence of CO. Served as CO of the BSSG at Comm School Exercise at Quantico.Attended Command and Staff College. Joined Detachment 4 of Headquarters 4th MarDiv. Trained as a Steel Thrust Controller at Houston. Wrote three papers on the Reserve MAB, air control communications at CAX, a proposal for an annual Marine Air Ground Exercise at Chicago. Squadron received General Raisch award as best air control Squadron in the 4th Marine Aircraft Wing. 1987 Steel Thrust Controller for Detachment 4 of Headquarters 4th MarDiv. Served as Playing Surface Controller for 5 Steelthrust exercises. Served on the Marine Corps Scholarship Committee, and as Sgt at Arms of the Chicago MCROA Chapter. Attended Command and Staff College Phase 2. Wrote unit annual report and Command Chronology. Wrote a position paper proposing the establishment of a Reserve Radio Battalion, and a defense scenario for the BSSG. 1988 HQMC C4I2 Reserve Augmentation Unit. Worked in Command, Control, Communications, Computers, Intelligence, and Interoperability. Evaluated proposed orders and interoperability plans. Flew at own expense to Washington DC for drills. Served as Vice President of Chicago Chapter of MCROA. OIC of the Chicago Recruiting Service Support Officer. Attend MEB Planning Course. Joined the Marine Executive Association, lifetime MCROA. 1989 Commanding Officer, Marine Wing Communications Squadron 48. Took Command in October 1989. Commanded unit while it was planned for expansion to 4 detachments located at El Toro, Alameda, Willow Grove and Glenview. Initiated efforts to support NATO and WESTPAC exercises. 1990-91 Commanding Officer, MWCS-48. Sent detachments to support exercises in Puerto Rico, California, and North Carolina. Planned and implemented communication for Solar Flare. Volunteered for duty for operation Desert Shield and Desert Storm. 1991-95 Served in MARFORLANT as Reserve G-6. Participated in numerous exercises. Served as the G-6 in the absence of the Regular G-6. 1995-1999 Served as the Senior Military Officer in the Amphibious Warfare Technology Directorate. Participated in the development of numerous high tech systems designed to improve combat ability. Initiated the development of a computer game for Marines to enhance their understanding of warfare tactics. 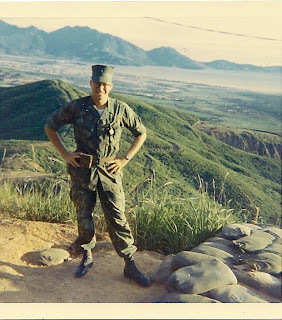 Performed last drill day in Danang, RVN, before retiring in 1999. Point Paper on the merits of establishing a Reserve MAB in northern latitudes, targeted for cold weather operations, 1986. Position Paper on the establishment of a Reserve Radio Battalion, 1987. Scenario for BSSG Defense for Steel Thrust 1987. Point Paper for the establishment of a Joint Serve War Fighting School, 1988. Analysis of Marine Corps Interoperability Plan 1988. Program of Instruction (POI) for the establishment of a Marine Corps School to train Base Communication Electronics Office personnel, 1989. 27 Operation Plans and LOI's for unit drill exercises. 18 Operation Plans and LOI's for unit ATDs. 1985 Advanced NATO Electronic Warfare Course at SHAPE Headquarters in Oberammergau, West Germany. 1979 Electronic Warfare Course conducted by the German Army at the German Army Signal School, Feldafing GDR. 1970 Registered Publications Course, Danang, RVN. 1970 Communications Planning Course, Okinawa. 1969 Basic Communication Officers Course, MCDEC Quantico, VA.
1969 The Basic School, MCDEC Quantico, VA.
1969 OCS, MCDEC Quantico, VA.
1967 ITR, Infantry Training Regiment, Camp Geiger, NC. 1984 Landing Force Communication Planning Course at LFTCPAC, Coronado, CA. 1983 Air Force Command & Staff College at Maxwell AFB, Montgomery, AL. 1982 Air Control Operations Course, LFTCLANT, Little Creek, VA.
1980 Weapons Tactics Instruction Course instruction at MCAS Yuma AZ. 1979 ELECTRONIC WARFARE COURSE conducted by the German Army at the German Army Signal School, Feldafing. 1973 Landing Force Communications Planning Course, LFTCPAC, Coronado, CA. I have participated in numerous communication and air control operations and exercises, both in the Republic of Vietnam and in 14 Reserve exercises. Electronic warfare has been heavily emphasized in many of these exercises. I have participated in all phases of planning and implementing electronic warfare efforts. I have taught numerous classes and short courses to members of my units and to Marines in the field. I have written and implemented the Electronic Warfare Annex for several exercises. The Exercise High Intercept at Cherry Point was a high point, where electronic warfare was a principle portion of the exercise, and where Radio Battalion told us that we were the best unit hat they had ever worked against. I received a letter of commendation from CG 4th MAW for these efforts.